Spain’s National Federation of Lesbians, Gays, Transsexuals and Bisexuals (FELGBT) on Sunday elected Eugenia “Uge” Sangil to a three year-term as president of the organization. Sanguil replaces outgoing president Jesús Generelo at the helm of the organization, which is currently focused on advancing a new national LGBT Equality Law in Congress that will safeguard the rights of transgender individuals along with those of all LGBT people in Spain. 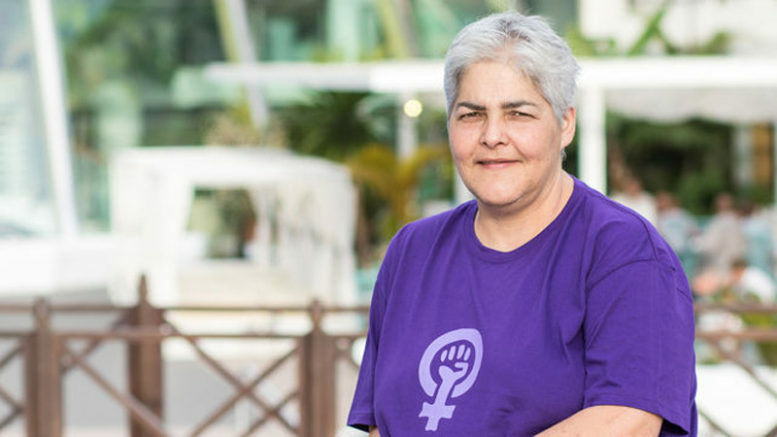 A longtime lesbian activist and social educator who works in a centre for people with mental and physical disabilities, Sangil previously founded the Algarabía LGBT association in Tenerife, over which she presided for eight years. Since 2015, she has served as FELGTB’s secretary for Education and Labour issues. In addition to working for passage of the national LGBT Equality law, the organization said at its national congress meeting at the weekend that this year it will make a priority the promotion of the rights of LGBT community in Spain’s North African enclave cities of Melilla and Ceuta. Sangil is the third woman to be elected president of FELGBT in the organization’s 25-year history. Also chosen to top leadership positions at the weekend conference were Mané Fernández, who was elected vice-resident, and Loren González, chosen as FELGTB organization secretary.